The Gordon and Betty Moore Foundation and CCST are helping other U.S. states establish their own state-level science policy fellowships, 10 years after adapting the AAAS Science & Technology Policy Fellowship program into the CCST Science & Technology Policy Fellowship program for California. 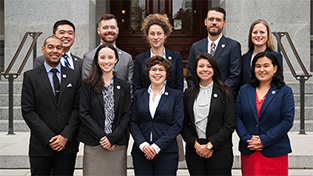 Much of this effort has been informed by the fundamental lessons learned from establishing the CCST Science Fellows program in Sacramento — lessons that were recounted in a newly published submission to the Proceedings of the National Academy of Sciences (PNAS). Penned by some of the fellowship program’s founding champions — including CCST Board Member and renowned UCSF scholar Bruce Alberts — the PNAS piece provides a glimpse into the origins and building blocks of the CCST Science Fellows program. These lessons are currently being shared with teams in Alaska, Connecticut, Michigan, North Carolina, New Jersey, Massachusetts, Idaho, Washington, and Colorado, all of whom were recipients of the State Fellowships Planning Grant funded by the Moore Foundation and administered by CCST in 2017. The nine teams recently convened in Austin, Texas, during the AAAS Annual Meeting to discuss their respective progress and to form next steps, as well as hearing updates from independent efforts such as the newly announced Missouri Science & Technology Policy Fellowship. 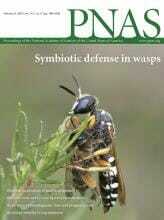 Read the PNAS article here, and follow the State Fellowships Planning Grant effort here. 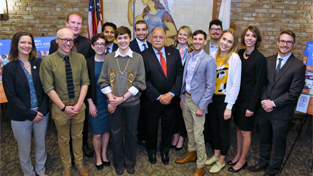 Follow the Missouri Science Fellows program progress at @MOSTPolFellows.